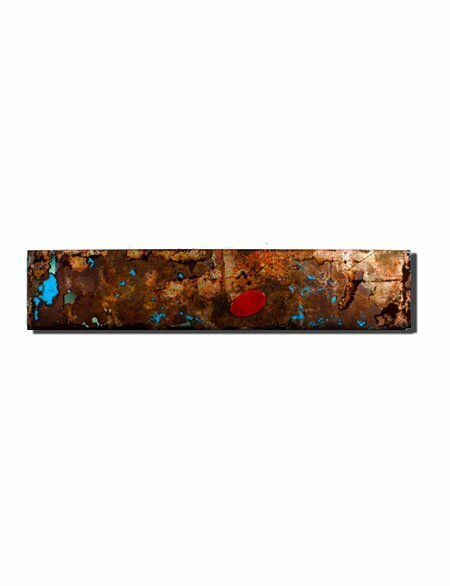 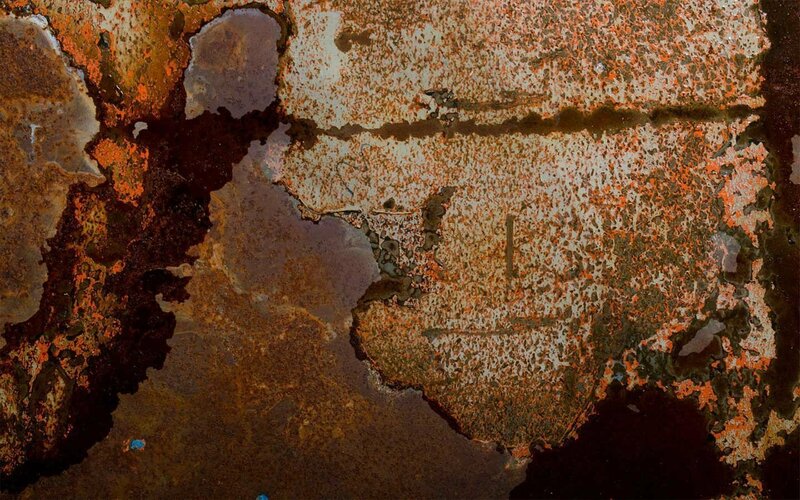 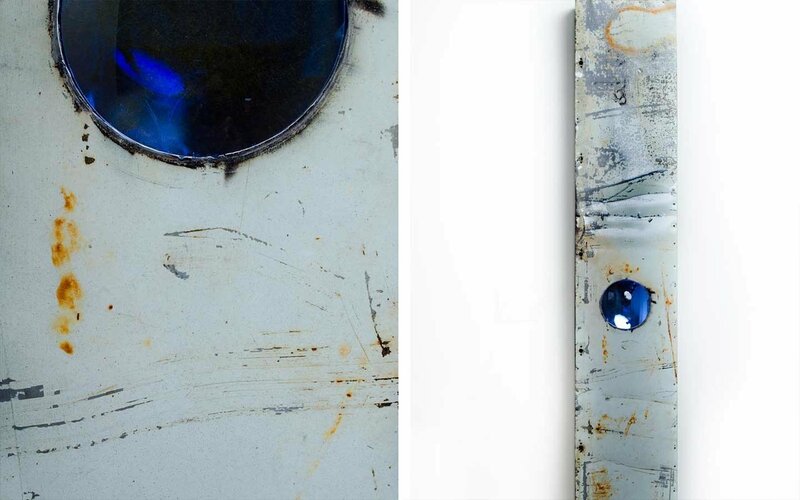 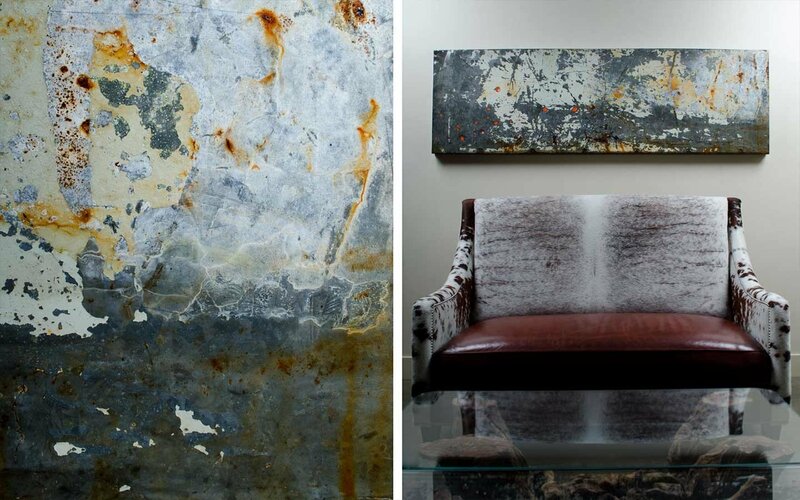 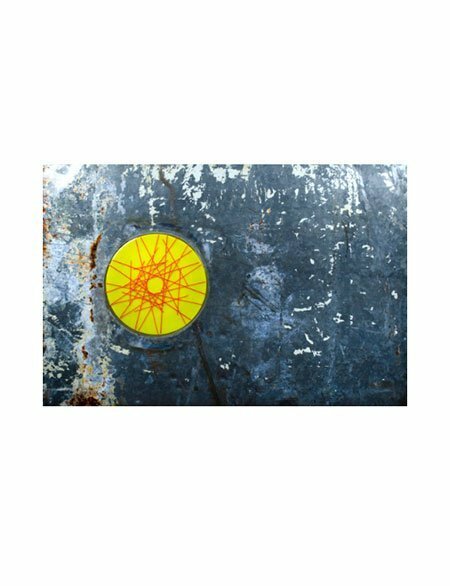 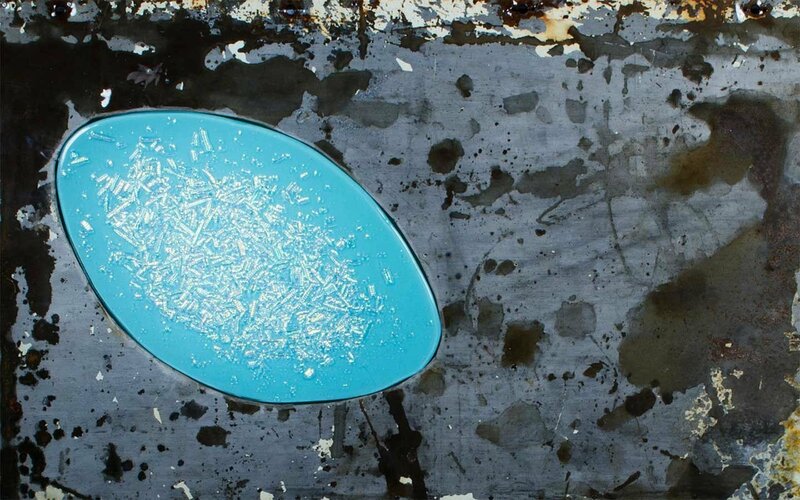 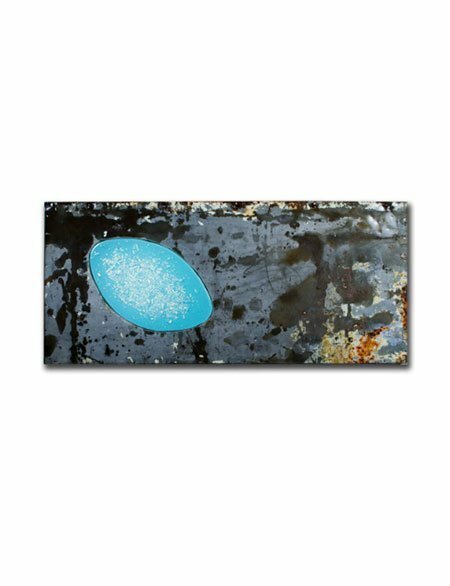 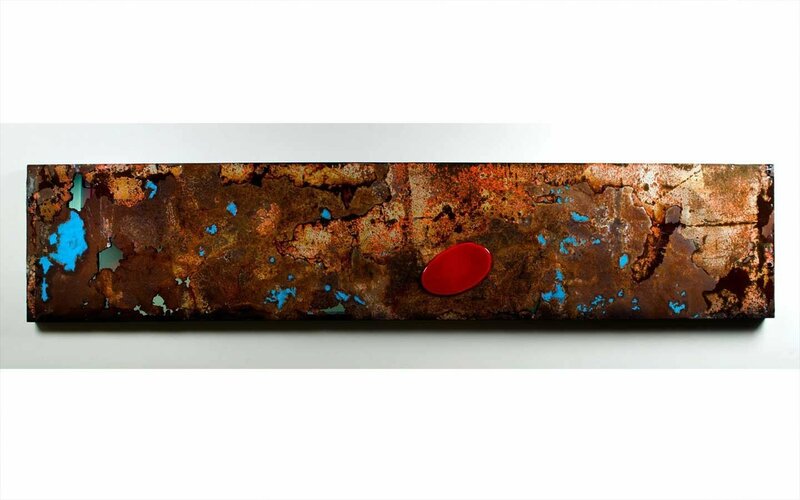 The contrast of the mottled, rugged and raw surface of the salvaged metal and the vibrantly colored fused glass used for this series lends these pieces a very sophisticated look. 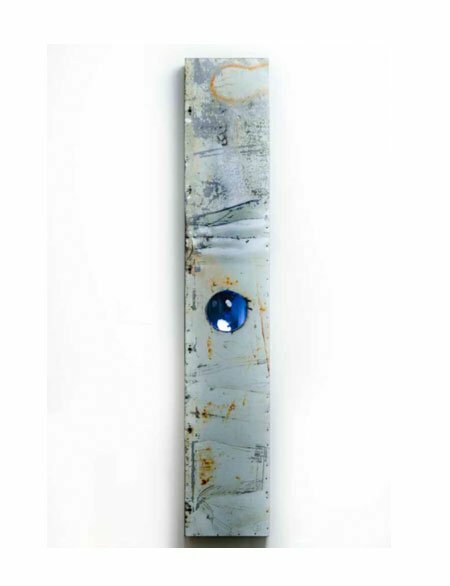 For Last Call Huether used a batch of salvaged metal that was the last of its kind and it happened to be the last series Huether created in 2012 – hence the title. 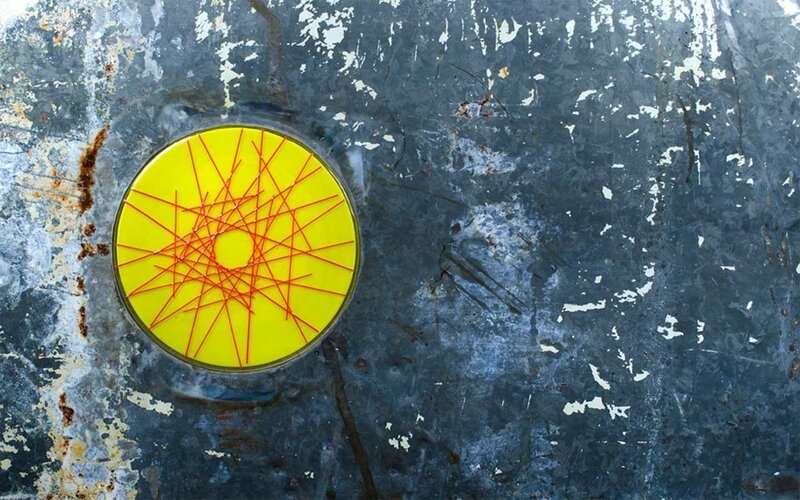 A year has come full circle and one reflects on accomplishments, challenges and highlights of the past months as well as on resolutions for what’s ahead.